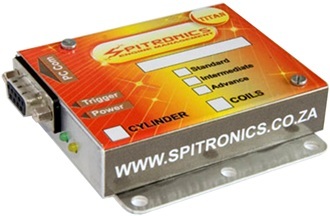 The Spitronics Engine Control Unit (ECU) is designed to be a cost effective replacement for Hi-tech fuel managements systems. It uses unique features found in Hi-tech systems, but it is still easy to install and program. 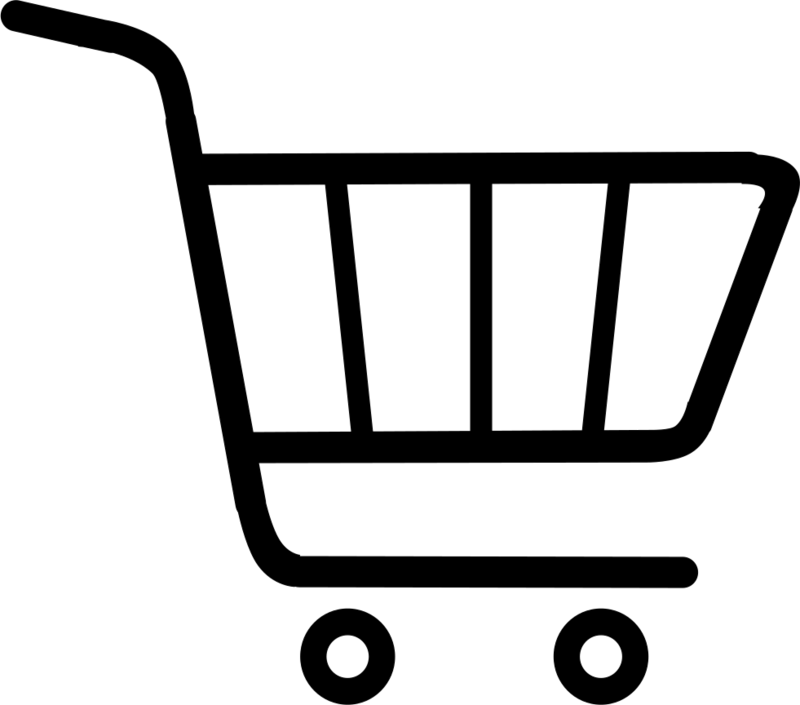 It is designed with both the novice and professional installer in mind. 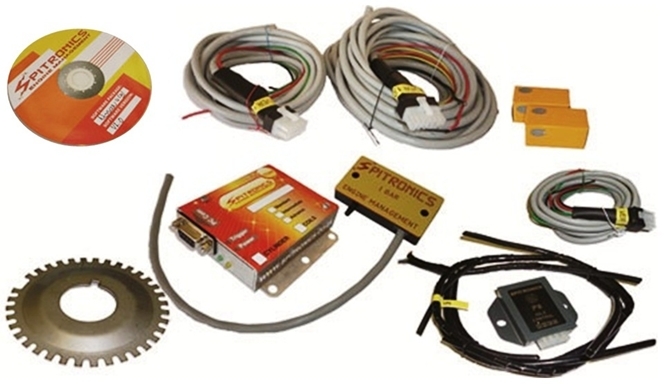 The Spitronics Engine Control Unit (ECU) is a South African developed and manufactured product and can be customized to suit dedicated engines and models. It is a reliable and compact system which is easy to mount in the driver's compartment. No external firing modules or converter boards are necessary. The ECU is customized for specific applications and the installer does not have to pay for unnecessary wires or unused features. No separate firing modules and MAP sensors are needed. The ECU is delivered with the correct harness and equipment as well as software and maps to ease installation and setup. The software will also be calibrated to suit the sensors of a specific engine. The units are designed to be small and compact and use the latest in high speed micro controllers assembled with surface mount technology. Firing models are incorporated in the ECU and will reduce cost. Optional Analogue and Stepper idle control units can be used with all units. The PC Tuning software is standard for all the Spitronics units. The specific ECU will blank out all tuning fields not applicable. Other key features are variable charge times which is MAP dependant. The higher the manifold pressure, the stronger the spark. Two general purpose outputs for use as a fan control, shift light etc. Which Spitronics system do I need? Suitable for a single trigger (one pulse per spark) and batch fuelling with a single coil and rotor distributor like a Golf. For a complex trigger system like the crank gears or the dual pickup system for Toyota or Nissan distributors and still have one coil with rotor distributor, the Intermediate ECU is applicable which will do sequential fuelling. If it has a complex trigger system like the crank gears or the dual pickup system for Toyota or Nissan distributors and have coil packs or a coil per cylinder, then you must use the Advance ECU which will do sequential fuelling and wasted spark timing. Spitronics Version 2 Tuning Software now available! It has a new look and feel as well as easier setup and tuning. 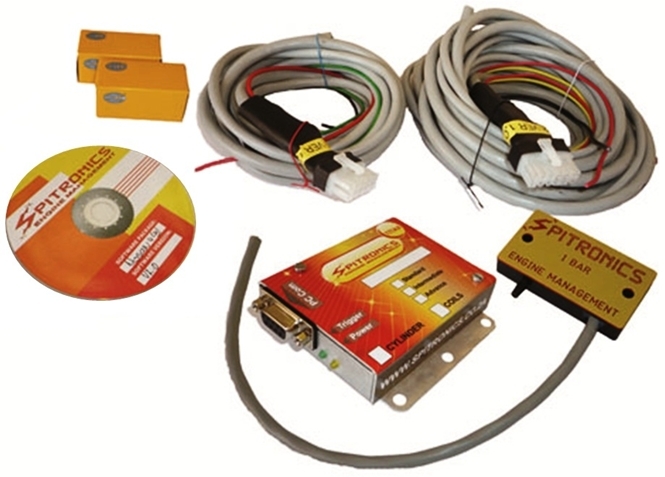 The new Spitronics Titan ECU and Mercury TCU (Automatic Transmission) software are included in the same package. The software connects automatically and activates new features on the ECU or TCU such as rev counter calibration. Micro fuelling for dual injectors is also included and the manual opens in the PC software. Contact us for more information.